America’s infrastructure is in a dire state. Bridges are crumbling, our highways need repair, and our power grids are out of date. Explore our comprehensive solution to this concerning problem. Experts from have published this proposal. As these organizations do not take institutional positions, this proposal reflects the views of the individual authors. Our nation’s transportation infrastructure is in a poor state. Aging schools, water and sewer systems, roads, and bridges put the public’s health and safety at risk. The problem worsens each year. It's time to create a better system of securing and allocating funds for Infrastructure Development. In 2007, the I-35W Mississippi River bridge in Minneapolis collapsed and resulted in the death of 13 people and 145 injured. It was already recognized as structurally deficient. 2 years earlier, New Orleans’ levees failed to hold back the flood waters of Hurricane Katrina. More than 1,800 people died and at least $125 billion in economic damage was suffered. Both disasters illustrate the cost of neglecting the country’s infrastructure. 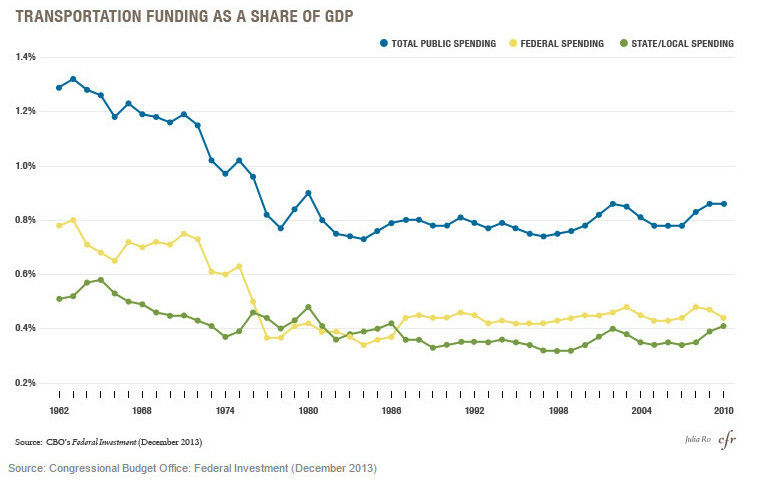 From the 1980s onward, transportation infrastructure spending as a share of US GDP stagnated. The American Society of Civil Engineers (ASCE) found that motorists pay $101 billion annually from lost time and wasted fuel due to road congestion. 45% of this is caused by “recurrent” causes like inadequate capacity and poor signaling design caused by infrastructure deficiencies. Failure to improve our roads' conditions also leads to pollution, a side-effect of decay and congestion. An economic research report by Standard & Poor's Rating Services suggests that a $1.3 billion investment (constant dollars) added 29,000 jobs to the construction sector, and even more to the economy when jobs added to infrastructure-related industries are counted. This is in line with the Federal Highway Administration (FHWA), which found that a $1.25 billion investment supports 34,779 jobs related to the project. Every year the United States loses 25% of its treated water to leakage and more than 1.7 trillion gallons to 240,000 water main breaks. At the same time, outdated wastewater systems dump billions of gallons of untreated sewage into our rivers, lakes, and streams. State revolving loan funds are struggling to keep up with the massive demand to repair and improve water infrastructure. Our decentralized infrastructure system means that those who are investing, operating, and controlling investments are doing so without coordinating with one another. Fragmentation exists between federal, state, and local agencies in terms of who approves and funds projects, as well as in terms of type of infrastructure projects are chosen. Without a national strategy to prioritize what kinds of projects are started there is no way to effectively pool funds together for maximum impact. Chapter 7 of this report details a comprehensive plan to improve America's infrastructure through public investments, toll fees, gas taxes, and energy-improvement projects. POLITICO report on the biggest infrastructure bill in a decade (H. Rept. 114-357). Federal Transportation Infrastructure Policy Progress Report and Scorecard assesses US Infrastructure quality in a global perspective. 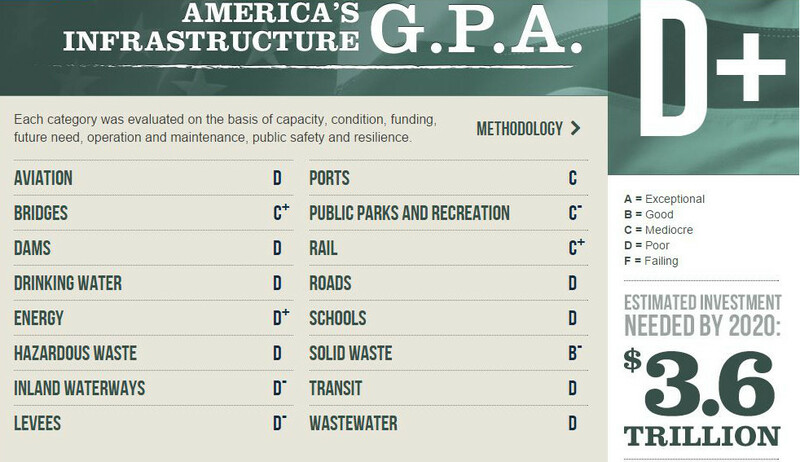 Once every four years, America’s civil engineers provide a comprehensive assessment of the nation’s major infrastructure categories in ASCE’s Report Card for America’s Infrastructure (Report Card). 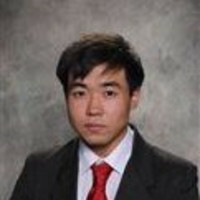 This paper considers the relationship between aggregate productivity and stock and flow government-spending variables. This paper suggests that, in addition to providing immediate economic stimulus, public infrastructure investment has a significant, positive effect on output and growth. This paper sets a spending target of the total level of investment needed by subcategory of infrastructure by comparing that level of needed spending against the amount of federal funds appropriated and funds leveraged by federal investment for the major infrastructure capital investment programs in 2010. An economic research report on the short-term and long-term benefits of public infrastructure investment. The Center for American Progress is a 501(c)3 nonpartisan policy institute that is dedicated to improving the lives of all Americans, through bold, progressive ideas, as well as strong leadership and concerted action. Our aim is not just to change the conversation, but to change the country. Appoint a single environmental official from the Council on Environmental Quality (CEQ), a council which already exists under NEPA, who has the power to decide the scope and adequacy of the environmental review for an infrastructure project. The CEQ regulations already incorporate the idea of a review being 300 pages or less. The focus of environmental reviews should focus on material issues of impact and possible alternatives, not details. The goal should be to identify the net overall impact, not minor details. The more the public knows about transportation infrastructure projects, the better. They can put pressure on agencies and outside funders to make wise investments and keep promises to the community about future benefits. Public comments should not be part of the formal record. This means that they cannot be used by opposing groups to hold up the permitting process. However, public opinion should be solicited in a spirit of widespread public discussion. This keeps the agencies and outside funders accountable to the promises they make. Public comment should be solicited even before formal plans are finalized, as well as throughout the process. Use presidential power as the tie break between contradicting regulations. This would eliminate the issue of overlapping local, state, and federal jurisdictions. This is not a new concept, since it would only clarify the presidential authority over NEPA that is already written into legislation. 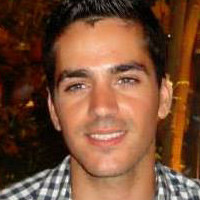 Fear of being sued leads to excessive environmental reviews on increasingly unlikely impacts and in unnecessary details. Environmental reviews become thousands of pages long and take far too long to complete. All claims challenging a project must be made within 90 days of issuance of federal permits. In order for a claim to be considered, it must attempt to prove that the review is inadequate or breaks a substantive law. Lastly, legal claims must be balanced against the overall benefit the project would have. Interstate projects are usually delayed because of contradictory regulations between the various states touched by a project. The new framework should preempt state law for interstate projects (similar to the Federal Energy Regulatory Commission’s authority over new gas pipelines), and give the White House authority to designate a single agency to balance regulatory concerns and issue permits for an interstate project. It would be more efficient if the centers for infrastructure development within USDOT and the Environmental Protection Agency were combined into a national center. Standardization of investment practices could further reduce transaction costs, improve efficiencies, and enhance effectiveness. Pooled procurement would be an electronic system, open to all infrastructure operators where they could search for and post information regarding their needs for procurement. The federal government would serve only as the platform operator; it would not be involved in any additional way in actual procurement or negotiation. However, creating a national platform would vastly expand the network of potential agencies that could work together. In the long run this may not even need to be operated by the federal government. It may well be that once the federal government creates this platform, it can eventually be spun off to the private sector or a broad consortium of public and private operators in a cooperative model. Rather than simply getting a higher federal match rate, localities that can demonstrate cost savings through pooled procurement should receive additional federal grants explicitly tied to infrastructure funding. Rewarding innovative cost savings from procurement through a race-to the-top style incentive system might be enough to overcome the organization gridlock and existing impediments to coordination. This commission, which could be created through legislation or by executive order, would be responsible for developing a comprehensive national infrastructure strategic plan. If we invest in our ports, waterways, air traffic control, railways, and roads, we can create upwards of two million jobs. 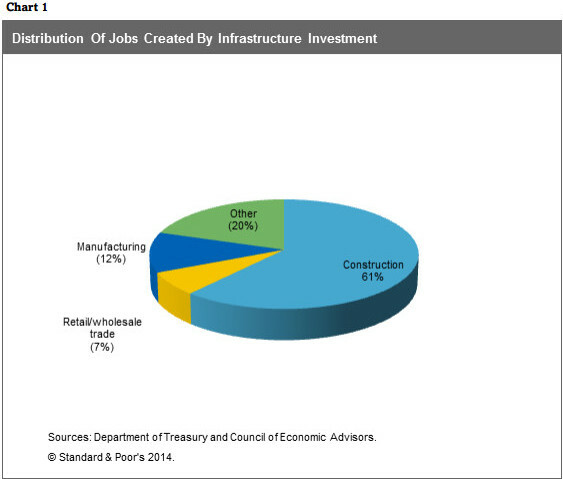 Infrastructure spending creates work for private-sector companies and good-paying construction jobs. Mark Zandi, chief economist at Moody’s Analytics, found in 2011 that new federal spending for infrastructure improvements to highways and public schools would generate $1.44 of economic activity for each $1 spent. The Congressional Budget Office found that infrastructure investments had one of the strongest economic impacts of all the policies included in the American Reinvestment and Recovery Act. Infrastructure spending leads to lower transportation costs for many both public and private sectors and ensures a better connected and more efficient economy. The government spending also circulates into the greater economy and the multiplier effect takes place. Investing in the infrastructure (including the skilled workforce) necessary to move clean electricity and fuels to market. All of these strategies will help contribute to reducing greenhouse gas emissions. Across all federal programs and vehicles, the government invested just more than $92 billion infrastructure improvements in 2010. In order to pay for $129.2 billion in new infrastructure projects on an annual basis, this plan assumes that the federal government will need to make $5 billion in credit subsidies or equally powerful tax benefits, and $10 billion in new federal loan or loan guarantee authority. Doing so will attract at least $60 billion annually in private-sector financing for infrastructure improvements. 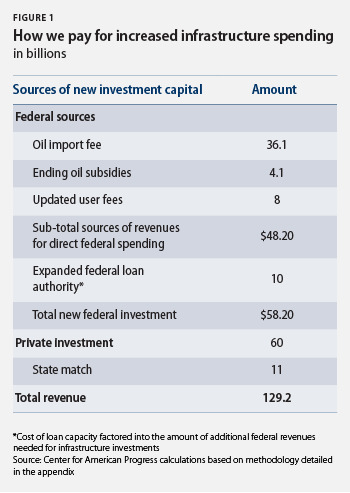 The balance of the needed investments will need to be funded directly by federal and state matching resources. Federal funds account for $48.1 billion per year in new infrastructure spending. The Proposal A Better Road for Infrastructure Development needs your vote by Invalid date.